Happy first Friday of 2018! 1. It is SO freaking cold here!!!! Yes, I lived in Pennsylvania/Michigan/Ohio for the first 22 years of my life....but good gracious, I cannot handle these temperatures anymore! I know all of my Ohio friends are laughing at me. Yesterday, we had to walk up to the car place to pick up my car from an oil change (right outside of our neighborhood) and I thought we might all freeze to death during that 10 minute walk! 2. 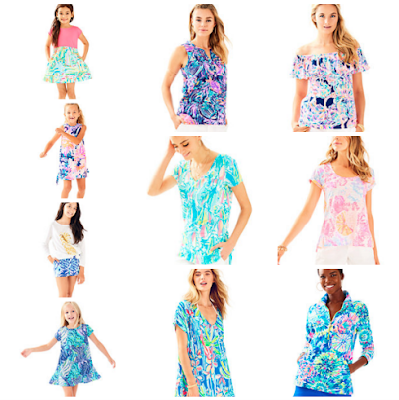 Totally switching gears, I am really ready for warmer weather with some of my new Lilly stuff!!! In case you've been living under a rock, the big twice-yearly Lilly Pulitzer sale was going on earlier this week, and I went a little nuts. Trav got me a very generous Lilly gift card for Christmas, which was very convenient for this sale!!! But, you would think I could just stop buying when the gift card ran out of money....oh, but Lilly, I just can't quit you. So whoops. Please tell Travis I bought all of this with his gift card! First thing Tuesday morning, the kids and I hit up the Lilly store at the mall, and I scored all of this! Then the online sale started Wednesday! I got right in at 8 AM on the dot....added about 4 things to my shopping bag....and then the site kicked me out!!! Oh, I was SOOOO mad!!! So I had to wait in the virtual line for about an hour to get back in. I did manage to score all of this, so all was not lost! I'm still on a MAJOR hunt for the Mindy swimsuit for Ella (mostly because it's my name, but Ella also needs another swimsuit for summer!). That was one of the only things that I had in my bag originally that sold out when I got kicked out. So if you find one in size 4 or 5, please let me know!!! 3. 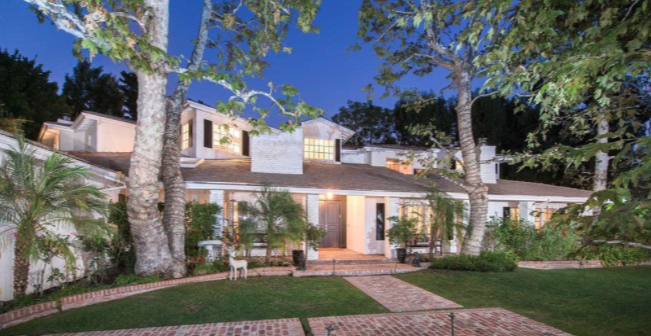 Speaking of spending money, I'm quite proud of myself for finding Kyle Richards' house on Realtor.com the other day. Maybe I need to get a life. But, you are welcome. I still can't get over the $35,000 mortgage. A MONTH! I clearly need to get into real estate. In Southern California. 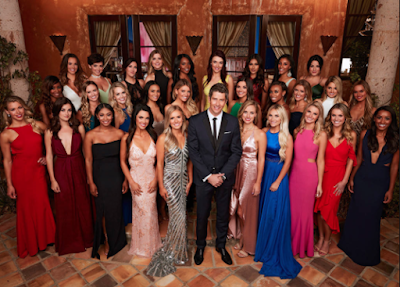 4. Who is watching the Bachelor this season?!? I'm not the most excited it's Arie, but I guess I'll watch it anyway. My thoughts so far: everyone seems way too young for him (he's 36, they are like 25! ), the single mom Chelsea is an exact replica of Olivia from a few seasons ago, and the girl with the short hair (Bekah) already drives me nuts. My favorite recaps to read each week are here, here and here. They are legit magical and get stains out of EVERYTHING. For example: Ella's shoe gave her a blister, which resulted in blood all over her dress....I used these and literally watched the blood disappear before my eyes. Magical. You're welcome. Have a great weekend, and stay warm friends!!! umm hello massive amount of lilly! love it! 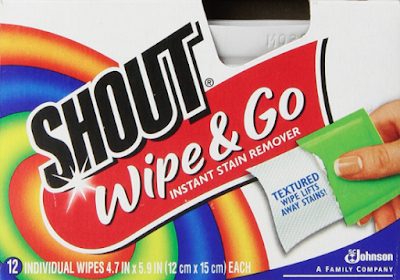 adding those shout wipes to my target list now!